Jamie Megarry’s interview with Andrew Mitchell. Hero from the past article features Terry Hayes. Photos from the recent games against Ballymena, Dungannon and Institute. 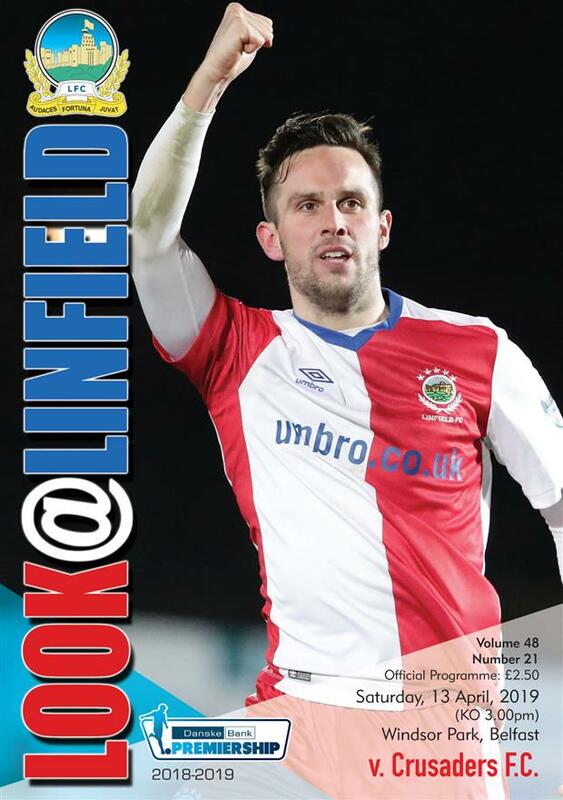 ‘Look at Linfield’ costs £2.50 and back issues of previous issues this season against Waterford, Institute, Ards, Dungannon, Ballymena, Newry, Glentoran, Warrenpoint, Coleraine, Cliftonville, Crusaders, Glenavon, Glentoran, Ballyclare, Warrenpoint, Glentoran, Crusaders, Coleraine, Ballymena and Institute are available from the Superstore.